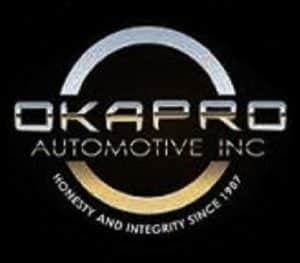 Okapro was founded in 1987 under the name of Okanagan Propane & Automotive. Okapro was created to bring positive change to the auto repair industry. Okapro Automotive serves the people in Kelowna, West Kelowna, Lake Country and the surrounding Okanagan Valley. We are Kelowna auto repair shop that provides stress free service and repair. We are a team of qualified technicians looking to bring you the best quality repair at a fair and honest price. Why You Should Bring your Vehicle To Okapro Automotive? 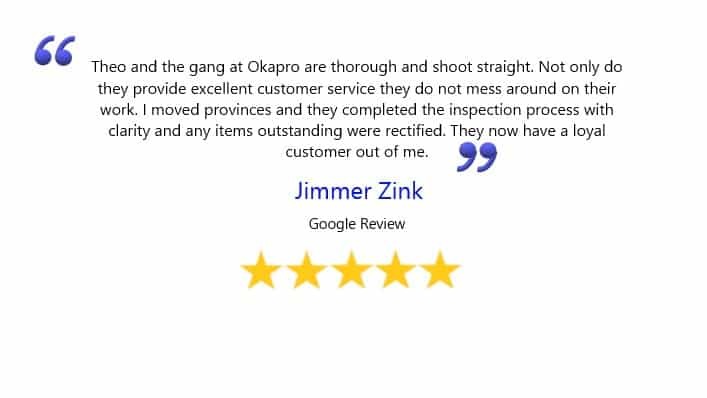 At Okapro Automotive fixing cars and trucks is a passion of ours along, with helping people and supporting our community. We understand that there is so much more to auto repair than just getting your vehicle back on the road. There is an experience and a relationship that develops between you the customer and us the service provider that must be built on trust, honesty, fairness and integrity and quality workmanship. If you want to get your vehicle fixed properly and build a great relationship with your mechanic you will need to find one that can work on your make and model of vehicle. You will need to find an auto repair shop where the front counter staff are pleasant and genuinely have your best interest in mind. Look for a service advisor that doesn’t pressure you into the sale but lays out your options and informs you so you can make the best decision for you. 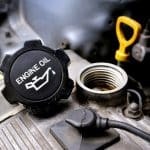 In order for your vehicle to last and run properly you need regular scheduled preventative maintenance. 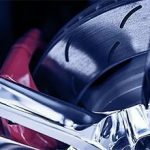 Extend the life of your brake pads and rotors by getting regular inspections and servicing. 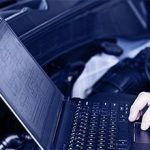 Get a vehicle health report with every service to avoid unexpected breakdowns and large expenses. Use high quality products to increase performance and prevent wear and tear on your vehicle. 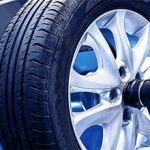 Be sure to run the correct tire pressure and have your wheels and tires balanced for optimum comfort and performance. Get your air conditioning checked regularly so you don’t get stuck in the Okanagan summer time heat. 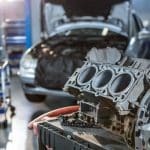 These are just a few recommendations and services that will help you find a great local auto repair shop and help keep your vehicle operating it’s best. We understand the cost of maintaining and fixing a vehicle and how inconvenient it can be when our transportation lets us down. This is why we are dedicated to helping you keep your vehicle on the road and running it’s best. 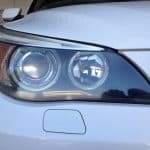 Is Okapro Automotive Right For Me? Our team understands that everyone has a different vehicle and different needs. People have different budgets and different dependencies when it comes to their vehicles. We get it. That is why we service such a wide variety of vehicles. Whether you have an A to B car that you just want to keep running a little longer or you are a business owner with a fleet that you depend on then Okapro is right for you. We can work on multiple vehicle brands and can accommodate different sized budgets. We don’t just work on one brand of vehicle. With everyone having different taste and preferences we work with you to fix whatever vehicle you have. We help you can get back on the road quickly and without breaking the bank. Come talk to us and learn how to best maintain your vehicle to prevent breakdowns and make it last. We guarantee that you will be treated fairly with honesty and integrity. That is what our business was founded on because we were tired of the bad rap on shops. We hope to help bring positive change to the automotive industry. We Believe our customers should understand what their options are. 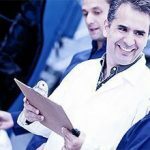 We are here to present the issues with your vehicle and to help you understand what is involved so YOU can make the best INFORMED decision without being pressured to buy. We believe that relationships are built on trust and honesty. We want to be that shop that you can trust, that you will tell your friends to go to. Vehicles are a big investment and it is important to trust the people who are taking care of them. Maintaining a vehicle is a long term investment and we want you to get the best ROI that you can. We strive to provide the best quality in auto repair. Our goal is that you would bring your car in and it would be repaired right the first time. This means you can leave with peace of mind knowing your car was serviced properly with the right parts that are going to last and provide safety and security wile your driving. Trust is foundational for establishing a great relationship. We hope to build trust with you through honest interactions so that you can be confident that the recommendations that are made to repair your vehicle have your best interest in mind. We are here because we were fed up with dishonest automotive shops. Help us make this positive change and bring a better reputation to an industry that has been viewed in negative light for so long. Our staff has been here since the beginning. We have a staff of qualified licensed technicians with all different backgrounds. Whether you have a Euro car, Asian import or a classic North American vehicle, we have got you covered. 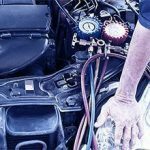 This provides a very well rounded team that is equipped to tackle the biggest, toughest problems with your vehicle as well as the small issues. We have been in the same location for over 30 years. In that time we ave gained a fair amount of customers and earned the trust of a lot of people in Kelowna. An advantage of using a shop like ours that has been around so long is we know you and your vehicle. We know the history of it and can properly service it based on the mileage and driving style.